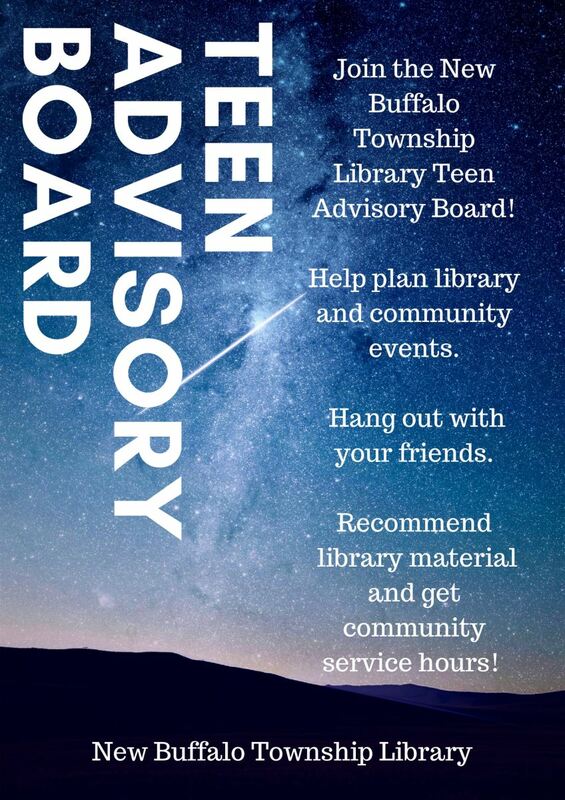 The Teen Advisory Board’s goal is to enhance the teen experience in the library through planning activities, suggesting materials, and promoting the New Buffalo Library to local teens. TAB meets once a month to plan activities. You will earn community service hours for participating in TAB!